Tempus Design Studio is a Mackay based Building Design firm with extensive experience in the Mackay and Whitsunday region. We specialise in unique, custom designs to suit the client's specifications, the landscape and our tropical climate. We pride ourselves on forming relationships with our clients and enjoy being a part of this exciting process. By working closely with them, we can learn about what they want and ensure that each detail of the project is suited to their lifestyle. We are a team of experienced building designers who can help bring our clients visions to life. Our combined knowledge and expertise allow us to design and create custom homes that are unique to each of our clients. Whether planning a new residence, an extension, renovating an existing building or would like interior design advice, Tempus Design Studio can help you with any upcoming project. 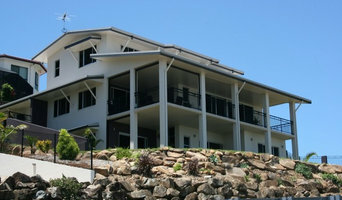 Glen Place T/A Place Designs has been providing a complete building design service in the Mackay Region since 1971. If you require quality and value for money Place Designs would be the Building Designer for you. Place Design is a family building design company business committed to achieving client satisfaction. We have a strong reputation for exceeding our clients’ expectations. We have a proven track record of creating custom designs specifically to suit the client within budget constraints. Glen Place brings construction and building design knowledge to the design project. Glen Place commenced in the construction industry in 1964 and building design in 1971 Glen is currently QBCC licenced (Licence No 12080) Building Design - Medium Rise, Building Design - Open & Builder - Open Kieron Place commenced building design in 1992 and was QBCC licenced (Licence No 1045510) Building Design - Medium Rise in 2007. We specialise in the design of all types and styles of projects whether it be a new home design, a renovation, commercial project or Industrial building. We can provide a comprehensive service from concept to construction & look forward to assisting you with your project. 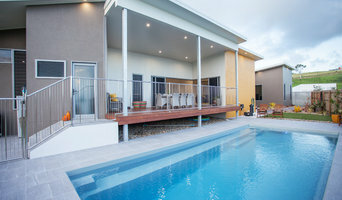 Majestic Development Services is a Mackay based Building Design company with over 26 years experience in the design/construction field and 15 years in the Mackay and Whitsunday region. Our ideal client is someone who is trying to achieve the most they can out of their lifestyle and within their budget whether that be a small granny flat or a million dollar palace we can help you achieve your dreams. We are realistic with your budget and keep you well informed with design choices which allows you to have a say in how your money is going to be spent. Whether you are planning a new residence, an extension, renovating an existing building or looking for interior design advice, Majestic can help you with your project. 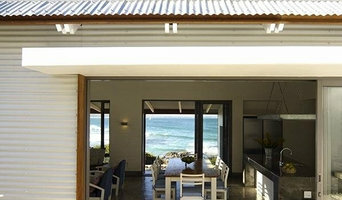 We are also a half owner of Relaxed Living Homes and can help you right through the construction of your dream as well. So whether you have your own builder or not we can design your home, extension or renovation and follow up with the construction. Majestic Development Services - Inspired by Design. Whitsundays Design & Drafting is a Mackay drafting service providing innovative and cost efficient solutions in residential, commercial and industrial building design. 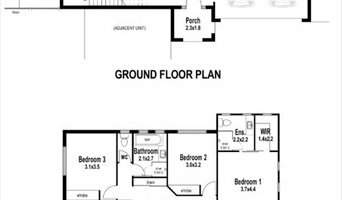 If you're looking to build, whether it's a new home, commercial warehouse or an industrial development, you will need the professional services of an experienced draftsman to design and draft floor plans to your new building or extension. Whitsundays Design & Drafting provide the highest calibre of design services at an affordable rate to turn your ideas into reality. CBD's primary field of expertise is in Residential, Industrial & Commercial building designs. We provide fast, reliable, accurate and efficient designs for the public and consultation for builders. CBD can undertake projects of most sizes and any complexity. Previous work includes projects for Commercial developments, local and interstate house builders. With extensive experience in the industry, you can be assured of exceptional quality. Trevor Fry Building Design is a design service specializing in houses, units, refreshing and extending existing houses and small commercial projects. As with all other professional services for home design and renovation, the best way to choose a building designer in Mackay, Queensland is to asses their past work against the style and requirements you have for your individual project. The role of building designers has evolved from traditional drafting services to building design that takes into account your lifestyle, budget and site condition. Building designers in Mackay, Queensland also often work with contractors to ensure that structural elements are in line with desired aesthetics. Once you have a shortlist of building designers in Mackay, Queensland, engage in face-to-face talks about your brief, to ensure you’re on the same page. To get the most value for your money, you want someone who understands you, agrees with your ideas – in relation to sustainable design, space and function – and has the qualifications and enthusiasm to translate ideas to paper and into a reality. Look through Photos of house designs to find projects similar to your brief. Then, click through to the professional responsible for your favourite picks, browse their latest projects and read reviews. Once you’ve created a shortlist of Mackay, Queensland building designers, strike up a conversation with each one and you’ll be one step closer to the house of your dreams!